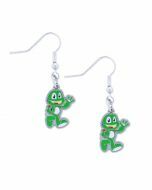 Looking for a little more Signal the Frog® style? 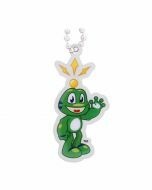 This happy frog pendant and chain is sure to be what you are looking for! The Signal the Frog® Pendant is trackable at Geocaching.com. Pendant is approximately .75 inches. Chain has a total length of 18 inches.